Hear Me Talk '90s Heavy Metal with Antony Johnston on Unjustly Maligned! During the course of doing the Secret Identity podcast over the past ten years, one of the coolest people I've developed a friendship with is Antony Johnston. Antony has created some amazing comics (his post-apocalyptic epic Wasteland and dark fantasy Umbral are just two shining examples), and has written for a slew of fantastic video games as well (Shadow of Mordor, ZombiU and the Dead Space series, among many others). In addition to his prolific writing, Antony is a musician, and just finished the soundtrack album to Wasteland, which you can check out right here. As if all of that wasn't enough, Antony launched his own podcast recently, the brilliant Unjustly Maligned. The premise of the show is that he invites guests on to discuss movies, music, books, games and other works of pop culture that are not looked upon favorably by the general public, but the guest in question is a fan of. Each guest gets to bring their unjustly maligned work to the show and defend it. 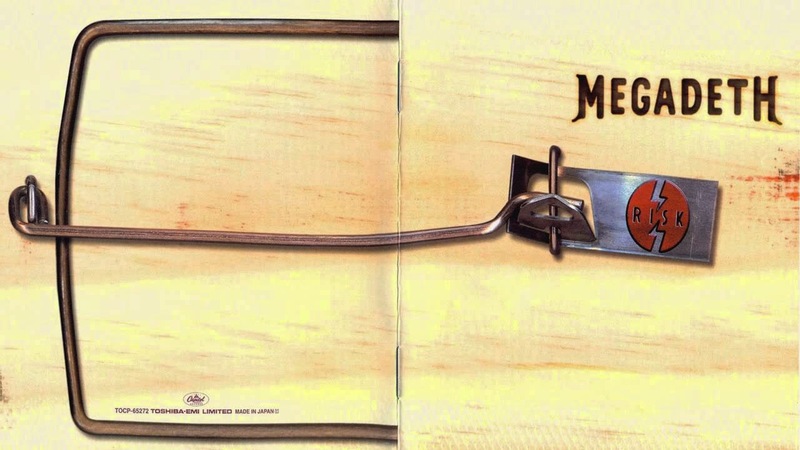 Antony recently invited me onto his show, and I chose to talk about Megadeth's 1999 album Risk, which is widely considered to be their worst (or was, until 2013's Super Collider came out). I am a huge heavy metal fan, and Megadeth is my favorite band, so as you might imagine, there was plenty to talk about. As with any conversation about Megadeth, the topic of Metallica was featured heavily in our discussion. 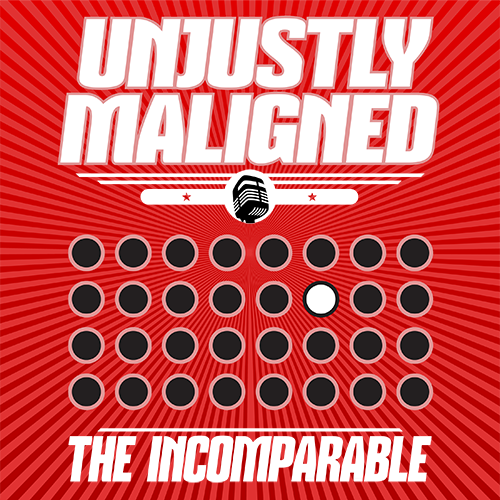 You can listen to the entire episode right now on the Unjustly Maligned page at The Incomparable. You can also download/subscribe to the podcast on iTunes and through RSS if you use another podcatcher. You can keep up with future guests and episodes by following UMP on Twitter. Thanks to Antony for having me on the show! 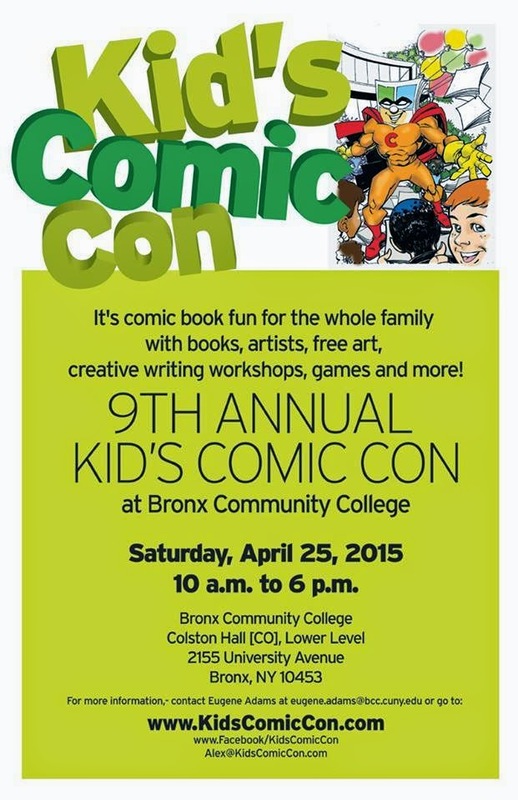 Bring the Family to Kids' Comic Con This Saturday in the Bronx! I am so very excited to say I'll be in the Bronx this Saturday for Kids' Comic Con 2015! The con was created and organized by our good friend Alex Simmons, and it's aimed at providing a fun-filled day for kids where they can meet creators, participate in workshops and learn more about the wonderful world of comics. I'll be there with my son and my Secret Identity podcast co-host Matt Herring, doing interviews with creators, promoting the podcast and just hanging out enjoying the con. We've known Alex for years, and we're very excited to return to this show after missing the last couple years. 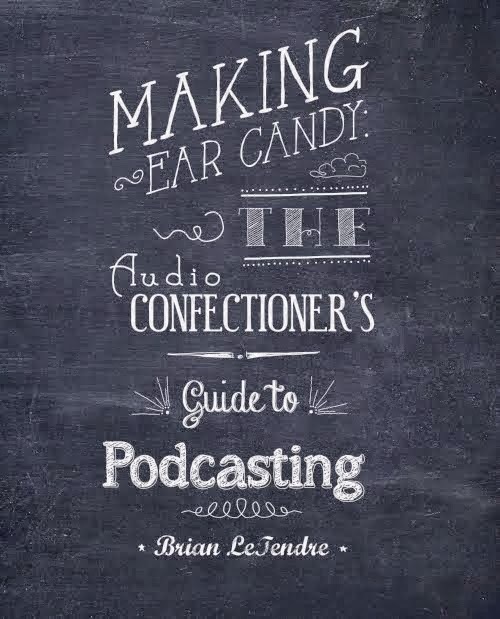 I'll also have print copies of my podcasting book Making Ear Candy on hand, and hope to inspire some comic fans and their families to start a podcast of their own. So, if you're anywhere near the Bronx on Saturday, bring the kids over to the Bronx Community College and say hi! When I posted the other day about hitting my Camp NaNoWriMo wordcount goal for April, I likened the experience to a "Couch to 5K" running program, but with words. That got me thinking that it wouldn't be that hard to use the Camp NaNo events to train for November's big event, using a similar training model. I'm sure I'm not the only person to think of this, but it was something I wanted to expand on a bit. Let's say you've never written a novel, or perhaps you got away from writing and you want to get back at it. If you're like me, having a system, or gamifying the process in some way, helps keep you focused. 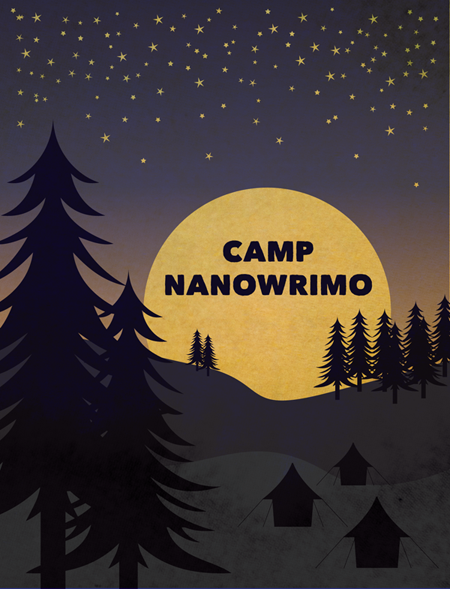 So let's look at the time period from the first Camp NaNo event in April through the end of NaNoWriMo proper on November 30th. Our goal will be to start getting our word counts consistently higher, and using the Camp NaNo events as measuring sitcks. Now, we could break it down even more to begin with 250 words a day, and then go up incrementally, but I think that's over-complicating things. The fact is that if you can write 500 words per day for a two-week period, you will have hit a groove and will already be drifting into the 700 range. Maintaining that for the next couple weeks (and exceeding it on several occasions), will be a very reachable goal, and will give you a lot of positive momentum to build on. These can be blog posts, part of a larger project--it doesn't matter. You just need to be writing at least three times a week. If you're breezing through the 500-word workouts, then shoot for 700 for the second month. Again, these are minimums, so you may well come in over these numbers. This is very doable. By the end of the month, you'll have doubled your output from April's event, and you'll be well over halfway to your NaNoWriMo goal. Now, on to the main event--NaNoWriMo proper, and the 50,000 word goal. If you've been training up to this point, you will attack that number, not be afraid of it. Now, if you want to have a consistent number to shoot for the entire 30 days, 1667 is the number that will get you just over the 50K mark at the end of the month. A lot of people (myself included) set a goal of 2,000 words a day, because it gives you a little breathing room, especially if you fade a bit toward the end of the month, or miss a day here or there. Congratulations! You just won NaNoWriMo. Now before you start worrying about trying to hammer that first draft into an amazing novel that will set the world on fire, you need to rest. You've earned it. NOTE: The numbers in this post are just my suggestions, and you should feel free to tweak them as much as you want. Please also note that you can put together a plan like this outside of the NaNo events too, so if you missed the April one, then maybe do July's and then use September as your second "event" month, using August and October as training months. Every Tuesday here on SBW I'll be reviewing something I think is awesome. Comics, music, movies and more--some old, some new, all awesome. Today's reviews is a CD I picked up at my local music shop during Record Store Day this past weekend: Extreme's III Sides to Every Story. This was one of the many albums I had during my high school years that disappeared sometime while I was away at college (thanks, mom). In picking it back up, I got to revisit an amazing album from one of the most under=-appreciated bands of all time. 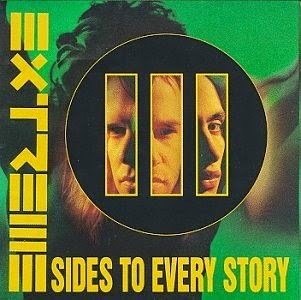 III Sides to Every Story is, as you might imagine, the third studio album from Extreme. It was released in September of 1992, which is coincidentally when I started my freshman year of college (yes, I'm old--shut up). The album was a follow-up to the one that really put them on the map, 1990's Pornografitti, which went double platinum. And while III Sides was a commercial failure compared to Pornograffiti, I think it's by far Extreme's best album. III Sides is a concept album of sorts, and the fourteen tracks (fifteen in certain versions) are grouped into three sections entitled "Yours," "Mine" and "The Truth." The "Yours" section of the album is definitely the hardest rocking of the three, with Nuno's guitar work carrying sons like "Warheads" and "Peacemaker Die." This group of songs is also very politically charged, with a heavy anti-war message, as you can see from the album's second song, "Rest in Peace:"
While not as heavy as the first section, the "Mine" part of III Sides has some fantastic tunes, led by the catchy love song Tragic Comic and the world-weary "Stop the World." The final act of III Sides is considered to be the weakest, mostly because the final three songs are longer, more rambling works and not as catchy as just about everything else on the album. But conceptually, I think it builds on what came before in the previous two sections, and as a part of the whole, it fits. All in all, III Sides to Every Story is an hour and fifteen minute journey through the spectrum of Extreme's unique sound. As I said before, I think it's the best of Extreme's albums, but if you haven't spent time exploring their catalog, I highly recommend all of their stuff. Well, I hit my word count goal for Camp NaNoWriMo this morning. Admittedly, my goal was pretty low--five hundred words a day for a fifteen thousand word total--but it's a victory, and I will gladly take it. I've said this before, but I use the Camp events to help get my daily writing back in shape, especially after the winter months, where I tend to get very little fiction writing done due to coaching basketball, holidays, etc. So as a tune-up, this Camp NaNo has been a great success. I started with a goal of five hundred words a day. By week two I was hitting about seven hundred a day, and now I'm consistently cracking the thousand-word barrier. It's like a "Couch to 5K" program, but with words (I'll be posting more about this thought tomorrow). I'm not done with my story yet, and I'm definitely not done with Camp NaNoWriMo. I plan on adding to my word count for the rest of the month, so the final total will be somewhere between twenty and twenty-two thousand words, which should make for a nice little novella when it's all said and done. One of the things I've enjoyed most about this month is spending a little more time with Frank and Samantha, the main characters from Courting the King in Yellow. 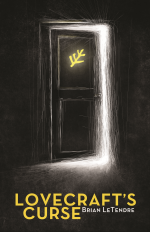 This story takes place alongside the events of Lovecraft's Pupil, and will give readers a closer look into what these two characters have been up to while they were out of the spotlight in the main series. I'm thinking about featuring them in another story for my Camp NaNo project in July, as well. 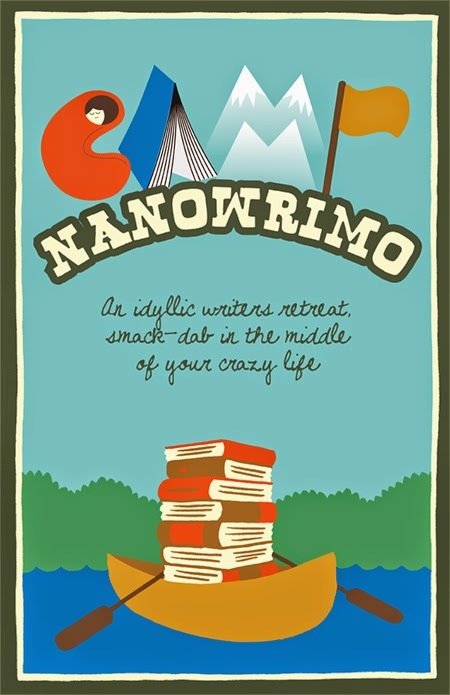 BUT THE BEST part of this Camp NaNo event has been my awesome cabin mates--Jolene Haley, Laura Chapman, Victoria Nations, Jessi S. and Vanessa Henderson. I've had some great cabins over the Camp NaNo events I've done, but this one takes the cake. We've had great discussions, everyone is super supportive, and it's been great learning from all of them. I've even thinking about stepping out of my comfort zone and trying a new genre in the near future. 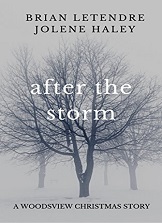 You've already heard the awesome Jolene Haley on the podcast, but I'm hoping to get some of my other cabin mates on the show in the months ahead. Seriously, the cabins alone make it worth participating in Camp NaNo. Such a great support system. Later this week I'll be posting about using the Camp NaNo events like a training program for the big show in November. Stay tuned! One of the things that creators of any type of media struggle with is getting their signal out amid the noise. 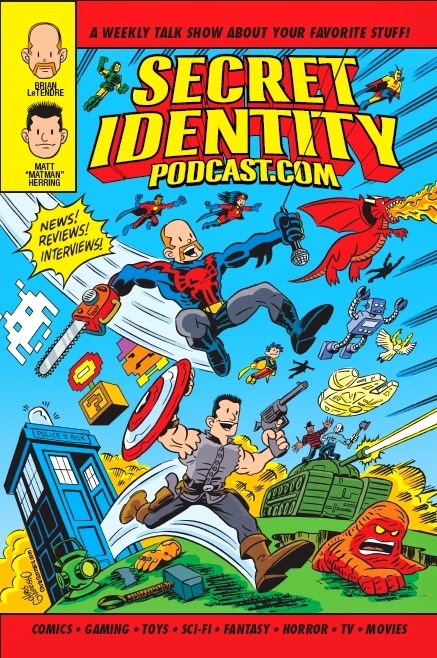 I've been doing the Secret Identity podcast for almost ten years now, and it's still tough to stand out among the millions of other podcasts out there vying for people's listening time. My books sit on virtual shelves among a myriad of others. My webcomic is one of an infinite number that people can freely access every hour of every day. One of the things that helps a particular work stand out is user reviews. Both Amazon and iTunes factor in those reviews when featuring content, and reviews (both good and bad) affect discoverability. I've been making it a point to review things I'm enjoying to help spread the word on iTunes, Amazon, Drive Thru, or wherever a creator's work can be found. And starting this week, every Tuesday I will be reviewing a book, podcast, movie, album or comic that I want to support here on the blog. 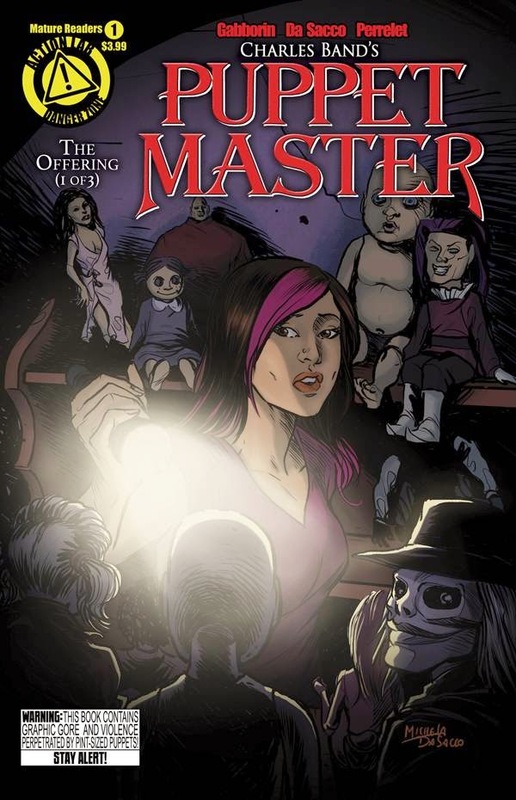 This week's entry is a comic I just talked about on the Secret Identity podcast, Puppet Master #1. I have been a big fan of what Action Lab has been doing with their Danger Zone imprint over the past couple years. With titles like The Final Plague, Crimson Society, Night of the ‘80s Undead and The Trip cover a spectrum of mature content that includes horror, action and everything in between. The whole imprint has the feel of those old mom and pop video rental stores that I grew up with, renting every B-movie I could get my hands on. Which is why it made perfect sense to me back in July when Action lab announced a licensing deal that would see them publish new Puppet Master comics. For those who didn’t grow up on horror movies, Puppet Master revolves around the creations of a puppet maker that come to life through the use of ancient magics. The murderous dolls rampaged through ten movies from 1989 through 2012. And now they’re rampaging through a brand new comic series at Action Lab, which picks up right where the movies left off. Written by Shawn Gabborin and illustrated by Michela Da Sacco, the book is accessible to new readers even though it draws upon what has come before. This first story arc opens with a return to place where the movies started--the Bodega Bay Inn. The inn has become infamous in that wake of the murders that happened there, and has become somewhat of a shrine to the legends of the puppets. In pure ‘80s horror movie style, a group of teens decides to hang out at the inn, which the puppets have recently returned to. As you might imagine, things start going badly for the teens almost immediately. Gabborin’s story is pretty much exactly what I was hoping for out of this book, and Michela Da Sacco’s artwork is great. She does all of the puppets justice and she handles the payoff scenes so well they would fit right into the movies. Puppet Master #1 was a lot of fun, and feels like a great fit for the Danger Zone imprint at Action Lab. I can’t wait to see what's next. You can pick up a copy of Puppet Master #1 at your local comic shop, or you can grab the digital version for a buck over on ComiXology. Among the many things I love about writing is that a good writing session always turns me into a very hungry reader (I wrote about this after NaNoWriMo in November). So, after a productive weekend of writing, I took a late Sunday afternoon trip to the bookstore to feed the need, if you will. Now, I have about fifty books in my digital backlog, so there was no shortage of reading material. I'm also a big comics fan, and I have a pile of back issues waiting for me as well. But as much as I love digital, there's nothing quite like roaming around a bookstore, picking up random books, and just seeing what catches your interest. 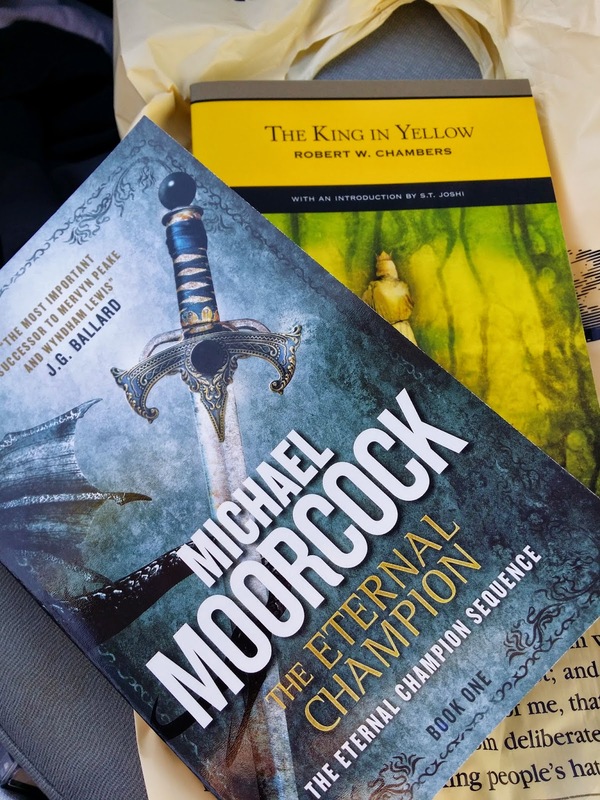 There was a particular book I happened to be looking for--a print copy of Robert Chambers' The King in Yellow. 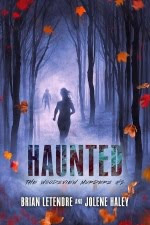 Anyone who is even remotely familiar with my writing knows that my horror novels are connected to Chambers' titular character, and I have several digital copy of the book. But I needed a print copy for note-taking purposes, and it's nice to have a physical copy to flip through. I happened to get the only print copy they had in stock, so my mission was a success. 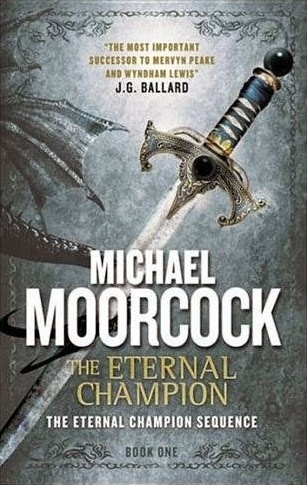 I became familiar with Moorcock's work through the Elric of Melnibone series, and the concept of the Eternal Champion is one that has always fascinated me and influenced my writing. The idea of a hero that exists in every world in the multiverse, who fights to keep the balance between Law and Chaos. I loved the Elric stories, but I've only read bits and pieces of the other Eternal Champion stories. This book is a re-issue of the first book in the series, originally released in 1970. And here I am coming to it in 2015, forty-five years later. It's new to me. The King in Yellow (which was originally published in 1895) has had a lot of renewed interest lately. The character was name-dropped in last year's much beloved True Detective series, which has led to a lot of people seeking out Chambers' work. I couldn't be happier, as I think it's one of the most under-appreciated works of horror ever. I always encourage fans of H.P. Lovecraft to check out The King in Yellow, as it is a huge influence on the entire genre. So, it was a pretty good trip to the bookstore yesterday, netting me some new copies of old books that will keep the reading beast fed so I can finish Camp NaNoWriMo strong. As I write this, we are now five days into Camp NaNoWriMo for April 2015. I have set the modest goal of 15,000 words for this month, but my daily writing so far is ahead of the pace, so I'm in good shape. As I mentioned on the recent episode of the podcast, I tend to use the Camp NaNo events as tune-ups for my writing and a chance to work on smaller projects. NaNoWriMo proper is where I work on full novel drafts. 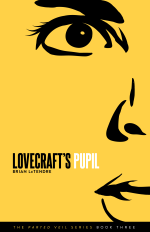 Anyway, in case you missed it, I released Lovecraft's Pupil this past week! 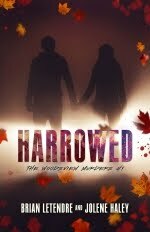 It's the third book in the Parted Veil series, and it's really the point at which the cast of the first book starts to interact with the cast of Lovecraft's Curse. I am so very excited to see what folks thing of this book. I've already got the first draft of book four done, so what I'm doing right now for Camp NaNoWriMo is expanding the Parted Veil universe a bit. I'm going to be doing some short stories and novellas that take place in the world of the Parted Veil and feature both existing and new cast members. Some of these stories will feature the origins of characters you know from the main series, some will fill in the gaps between the books, and some will be completely standalone stories. 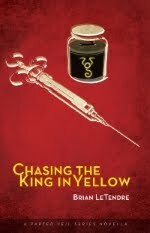 This isn't entirely new, as I've already released Private Showing, a short story that tells the origin on series character Nita Young before you meet her in Courting the King in Yellow. The project I'm working on now is a story that takes place during the events of Lovecraft's Pupil, and is alluded to in the book. 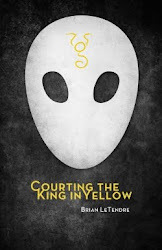 It features the cast of Courting the King in Yellow, and it also introduces a new character to the universe that I have some more plans for in the future. Are there particular supporting characters from the Parted Veil series you would like to see get their own story? I have plans for a few already, but I'd love to hear what you think.